“Digital wellness” and “tech addiction” are two common phrases used in today’s society. More and more individuals are becoming aware of the results of technological dependence. With rising concern, even tech giants, such as Google are trying to tackle the issue. According to TechCrunch, the new update will include enhanced Do Not Disturb functions. Do Not Disturb will now tackle the problem of looking at your phone right when you go to bed and as soon as you wake up in the morning. In turn, Do Not Disturb will be customizable to enable individuals to turn off notifications before bed. Individuals will also be able to limit the amount of notifications first thing in the morning thanks to a new wakeup screen option. Many third party apps offer activity summaries that tell users how much time they’ve spent on various phone applications. As reported by Wire, Apple users will now be able to access their overall device weekly usage and app usage. This may help users decide which apps they should perhaps spend less time on. In addition, individuals will be able to set time limits on apps that appear to be used the most frequently. Siri has also been incorporated into Apple’s digital wellbeing movement. TechCrunch states, Siri will suggest the background apps that should be turned off when they are not being uitilized, perhaps making it less tempting to use them. Especially helpful for parents controlling screen time, Apple will now provide the option to set “downtime”. “Downtime” limits the amount of time spent on apps and locks the user out of the blocked apps during the desired periods. 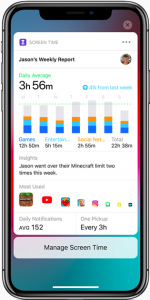 Apple’s announcement regarding iOS 12 has numerous features and digital wellbeing is just one small part of it! Be sure to check out the other updates. Mythbuster: Why Is My iPhone So Slow? 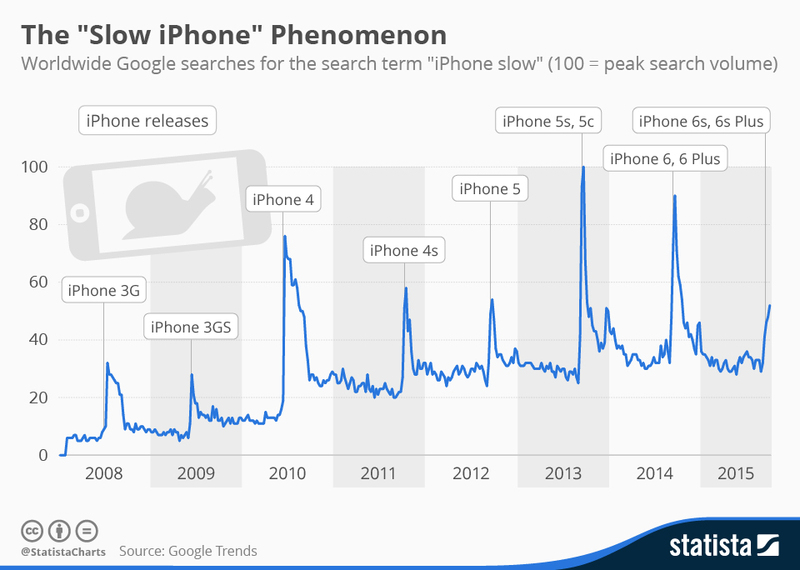 Since then, we’ve seen the release of the 6 and 6 Plus, both in 2014, and the 6s and 6s Plus not too long after in 2015. Apple Pay, more advanced cameras, and new touch displays were big features of these phones. The iPhone 7 and 7 Plus were released in 2016 – they got rid of the familiar headphone jack and instead created an adapter for the lightning jack. The camera also got even sharper on the 7 Plus. Earlier in 2017, the iPhone 8 and 8 Plus came out – and portrait mode was introduced for the first time. 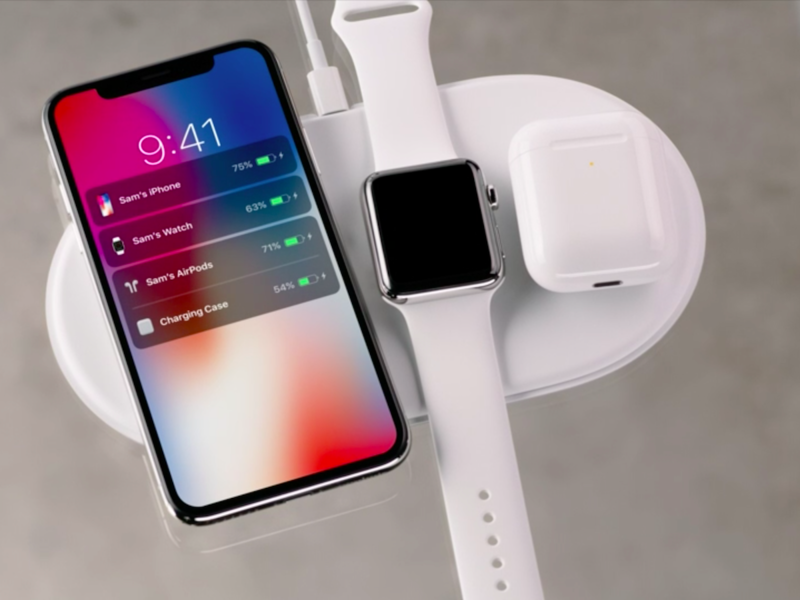 Finally, the much anticipated iPhone X was released just a few months ago, and it completely changed the phone design and capabilities. 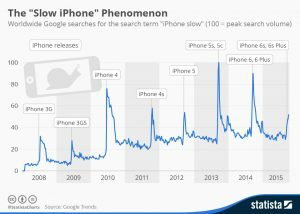 However, with each new version release, the majority of the population, who was still holding on to a perfectly good, slightly older phone, may have noticed the speed felt slower, touch was not as responsive, and everything took that much longer to load. Is this a myth, or a psychological response connected to some sort of placebo effect that Apple wants us to feel? The answer came to us yesterday, when the company announced that it was slowing down older iPhones with lower-capacity batteries. The reasoning was to ‘prevent accidental shutdowns’, something that occurs when the phone’s operating system draws on high power for a short amount of time – and it supposedly drains less from current battery life capacity. Since all iPhones, no matter the version, the network, or the country, work on the same update schedule, each new version of iOS actually aids in making your phone just that much slower. So, it’s not a myth, and you haven’t been imagining it! The further away you stay from the latest released phone, the slower it is likely to be with all the new software updates. Yesterday, Apple made its 2017 announcement, where they released the news of what is to come in the near future for the company. This announcement was unlike many of the past, for a few key reasons. First, Apple has come out with THREE new iPhones, instead of one or two. Further, the event was hosted at the new Steve Jobs Theatre, which was set to open for this keynote, and it part of Apple’s campus. So, before we get into the new iPhones, what else was announced at the event? The next in the series of the Apple Watch was released: series 3. The main update? LTE capability that allows users to make phone calls, play music sans iPhone, and it now better monitors heart rate and stress levels. The cost? Just under $400. What else? Apple TV got a shiny new update – it is being upgraded to 4K. Now, onto the iPhones. It seems like the iPhone 7 was just announced not too long ago, but it is now time for the 8. What’s new here: it looks very similar to the 7, but the back of the phone is solid glass. The available colours have been improved to look more majestic – long gone are the days of Black, Silver, and Gold. Now the phone is available in Space Gray, Silver, and a Rose Gold and Gold hybrid. Internally, the 8 contains an A11 Bionic Chip – meaning the phone has extensive hardware capabilities. The GPU has also been improved, with a better camera app. Now, the big announcement… the iPhone X. What’s missing from this phone? For starters, a home button, and a border. The display goes edge-to-edge, and instead of using a fingerprint to sign in, the phone will use facial recognition. Another interesting update is animojis, or animated emojis. What are they? When you record and send a voice message, you will be able to use a moving, talking emoji to relay it to the receiver. Next, both the aforementioned phones will support wireless charging! Drum roll please… let’s take a look at how much these phones cost. The 64G iPhone 8 and 8 Plus will be $700 and $800, respectively, and the 64G X will be a hefty $1000. All these products will be available for pre-order this Friday the 15th, except for the X, which will be available November 3rd. On April 25th, 2017, Apple launched, “Today at Apple”, an educational initiative that will offer courses, performances and labs in stores. By the end of May, 2017, Apple will be adding numerous educational offerings to their stores located around the globe. Apple’s Senior Vice President of Retail stated in their website announcement, “‘Today at Apple’ is one of the ways we’re evolving our experience to better serve local customers and entrepreneurs. We’re creating a modern-day town square, where everyone is welcome in a space where the best of Apple comes together to connect with one another, discover a new passion, or take their skill to the next level. We think it will be a fun and enlightening experience for everyone who joins”. Coding sessions will provide an interactive and interesting coding introduction through the instructions of professional code developers. Perspectives and Performances will spotlight varying artistic professionals, in which they will discuss their creative process or perform live. Studio Hours will provide 90 minute sessions regarding topics, such as art, design and presentations that are hosted by Creative Pros. Additionally, participants are encouraged to bring in personal projects to receive recommendations. Kids Hour aims to prompt imagination and creativity while teaching valuable skills. Customers are able to sign up for the varying sessions (that will be finalized in May) for free on the Apple website. Attendance will be limited, so it’ll be best to sign up in advance!